Camperagent RV Centre is a family RV business established in 1996 and one of the largest RV Sales & Service Centres in Australia. 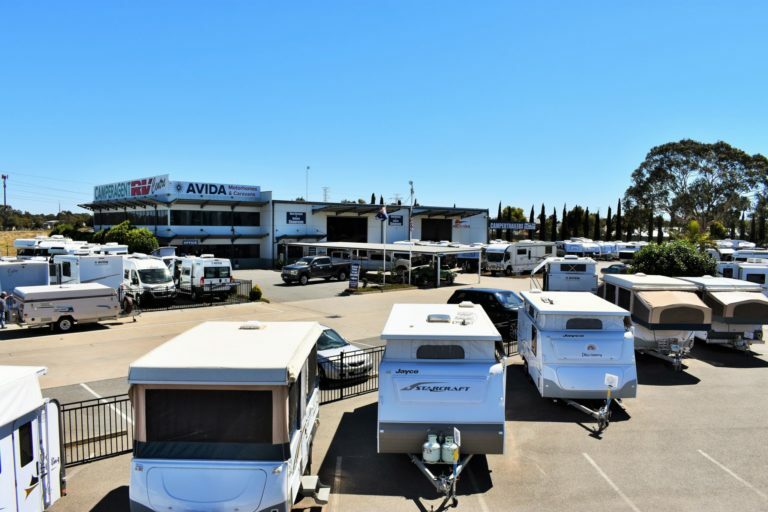 SA dealers for Avida RV Motorhomes & Caravans, Hitch Hika luxury caravans, Paramount and Golden eagle caravans and pop tops, as well as signature Campers trailers. Also stocking new Chevrolet, GMC & Ford Superduty American trucks. Camperagent RV Centre Adelaide prides itself on offering a relaxed, casual environment to browse without high pressure and are open 7 days. Looking for an exciting career in the RV industry? Considering a change of direction and would like to be a part of a leading industry company? Then look no further than Camperagent RV Centre, we’re continually looking for determined career minded individuals and we want to hear from you! Camperagent RV Centre prides itself on being an employer of choice, with an emphasis on having a great working environment, and getting the work life balance right. With over 20 years of service to the industry, we welcome like minded people with a solid work ethic who want to enhance their personal and professional skills. What does Camperagent RV Centre have to offer? A fantastic culture and rewarding roles. Here’s your chance to shape your future – and ours. Truth is, we want good people who aim higher and go further. But in return the rewards – and opportunities – are great.